Organic food? Organic beauty products? Organic clothing? Nowadays, it seems like everything is becoming organic. Have you ever wondered why so many people are joining the movement? The fast growing organic movement is here to stay as more and more people understand the benefits of an organic lifestyle on their health, environment, and finances. Those who don’t believe in the benefits of organic beauty products probably think this is just a trend. In fact, it is simply a return to basics: toxin-free, powerful products using simple, natural ingredients from organic farming. According to a report by Transparency Market Research, the demand for organic beauty products is predicted to exceed $15 billion by 2020. The organic market is growing very fast to respond to an increased demand of safe products. So what are the benefits of choosing organic beauty products? Why should you choose them over conventional ones? Your skin is the largest and most visible organ. It covers almost 2 square meters (over 18 square feet) and weighs almost ⅙ of your total body weight. Healthy skin acts as a barrier between the outside world and your body. It is your best and first defence against bacteria and viruses. For the skin layer to stay strong and healthy it needs to be fed with the right nutrients from both food and skin care products. It is common knowledge that many chemicals in mainstream skin care products penetrate the skin’s barrier and reach bloodstream immediately. Just like the food you eat, what goes on your skin eventually goes to your body. In our previous article on the Top Toxic Chemicals to Avoid in beauty products, we identified various harmful and cancerogenic chemicals that you are exposed to every day. These chemicals affect your overall health negatively, causing things from allergies and rashes to cancer in the long run. Many people think that their skin is the problem, but this is a misconception. The problem is the harmful chemicals that you can avoid by using organic beauty products. So how are organic certified beauty products better for your health? Better hormone balance. You will never find “fragrance” or any other health damaging, hormone disturbing chemicals in certified organic beauty products. The products labels are usually shorter and easy to read for everyone as they mainly contain ingredients that are easily identifiable. Better results. Certified organic beauty products only contain the best ingredients out there. They are simple, natural, and of superior quality. Just like healthy quality food, organic beauty products are more nutritious to the skin. They penetrate the skin better to protect it, heal it and nurture it. They are called “skin food” for a reason. Unlike the conventional beauty products, the ingredients in organic certified beauty products address the root cause of the skin problem and do not just act as a band aid to cover the symptoms. Bonus: They are cheaper! Yes! You may not think that at first when you compare the price tags of a conventional oil to an organic one, as they both seem to be addressing the same concern. But the organic pure skin care option will last you way longer. Organic beauty products are made of high-quality ingredients, and therefore a few drops go a long way. This gives you the best value for your money. Tip: The most important beauty products to buy certified organic are those you don’t wash off or ones that soak in, such as oils, creams, masks, and of course any products you use on children and babies. One of the benefits of using organic beauty products is that they are environmentally friendly. They don’t create demand for the production of toxic chemicals or leave harmful residue during disposal into the sewer or landfills. For example, those synthetic micro-beads in your facial scrub may seem very effective to exfoliate your skin. However, the micro-beads are often made of plastic. Research has found that these beads may actually be a dangerous pollutant in oceans as they are easily washed down in the sink, and sewage systems are not designed to remove micro plastics. Not only that, sea animals may even mistake them for fish eggs and consume them, which indirectly affects our health when we consume food. What ends up in our water supply or soil gets circulated into our ecosystem, and toxins were not meant to be in our air or water. If environmental impact is not your top priority, remember that it is the ecosystem you live in, and it directly impacts your your health. The organically grown plants used in organic beauty products do not have genetically modified organisms (GMOs) which have a negative effect on health and environment. By helping the environment, you are also looking out for your health. Win-win! Tip: Look for companies that package their products in glass or biodegradable packaging. It’s an eco-friendly way to reduce the impact on the environment. In addition, look for companies that use recycled paper, non-toxic ink, and biodegradable plastics that will easily decompose in our already overfilled landfills. Organic farming means a healthier working environment for farmers and producers because of the absence of chemicals. It also empowers smaller operations to produce specialised ingredients that can be sold for a fair price. This supports local communities and allows for a more ethical system of trade. Tip: Look for organic beauty brands that obtain their ingredients from Fair Trade sources or from local farms and suppliers. Here at Ayelli we are proud to be fair trade. Behind that new moisturiser you just bought from the store might be rounds of testing on hundreds or even thousands of animals. Companies often conduct animal testing to prove the safety and efficiency of chemicals present in cosmetic products, some of which may not have existing safety regulations. 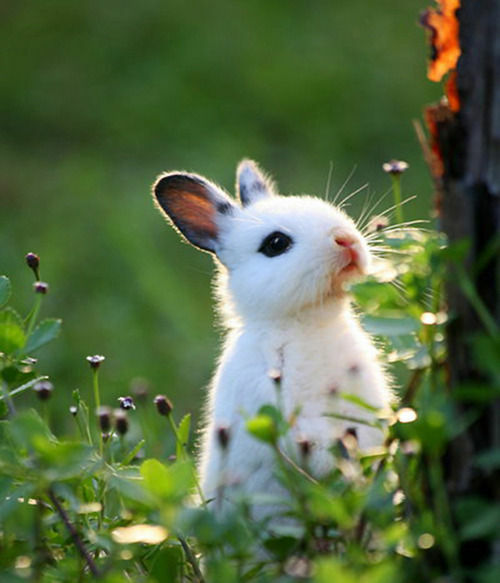 Sadly, those animals do not have the choice to say no to animal testing, but you do! By choosing 100% certified organic beauty products that only contain pure, natural ingredients you are voting against animal cruelty. Tip: Look for Cruelty free certifications like these on the packaging or simply ask your vendor about their testing methods. Now that you are aware of the 4 key benefits of organic beauty products, you are able to positively impact your own health, and other people’s lives. It is possible to achieve that glowing skin and flawless hair without using harmful chemicals. This also protects the environment and cares for animals. No compromises needed! So take that first little green step toward living consciously by choosing organic beauty products today! Ayelli’s Pure & Organic Argan Oil is a powerful moisturizing, anti-aging and repairing oil that contains only 100% certified organic Argan oil. It’s vegan, cruelty free and fair trade. It’s also chemical free and perfectly safe for your health, your environment, and all those cute bunnies and puppies out there. It truly includes all the benefits of organic beauty products. What other benefits of organic beauty products do you know of? If you haven’t made the switch yet, what is stopping you? Comment below and share this article as a subscriber and you will receive our ultra-hydrating Argan cleansing bar worth $19 for FREE* Sharing is caring! Let’s chat! *Limited time, whilst stock lasts. Hi! I’m Habiba, the founder of Ayelli and organic science cosmetic formulator. My team and I are committed to help you achieve gorgeous skin and hair without sacrificing your health nor lowering your beauty standards. I want you to become your own best health-conscious expert and share it with the world! Natural, Botanical, Herbal and Organic Skincare? What Exactly Is The Difference? Cosmetic Labels 101: What Do They Mean And How To Read Them Correctly? YAS this is so needed and such a wonderful resource. Excited to read more. Thank you for sharing! Great article, and all for organic products. Can’t wait to read more! Thanks for this article and sharing your knowledge Habiba! I’m really struggling with hair loss. Please share some articles on how to keep hair healthy. Thank you Ashley! Always That’s what beauty with a heart is all about. This article reminds me that we are all connected and if we take care of our earth, she takes care of us too <3 Thank you for this! Thank you for this article! 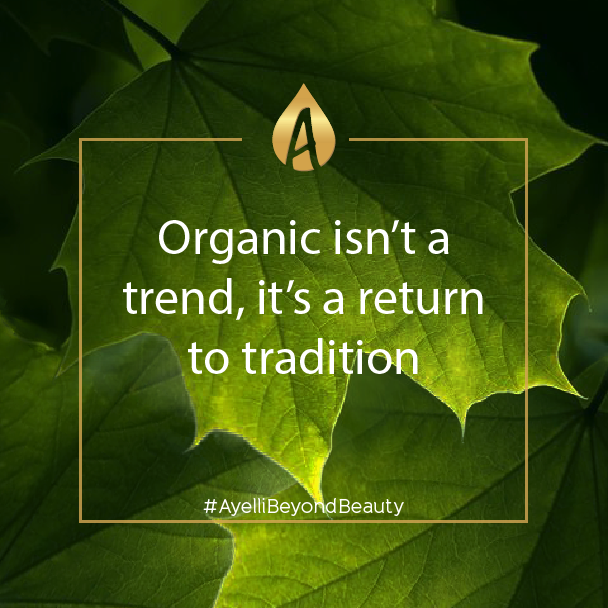 I love that you mentioned that “organic is not a trend, it is a return to tradition. It is so true! Indeed! Beauty trend or not, we are doing our skin, our health, and the environment a favor by using safe, clean and organic skincare products. You are most welcome Thanks for supporting organic beauty products. Much love! Thank you! You have successfully joined the #AyelliBeyondBeauty Movement!